Sign up for a free Discovery Consultation today! 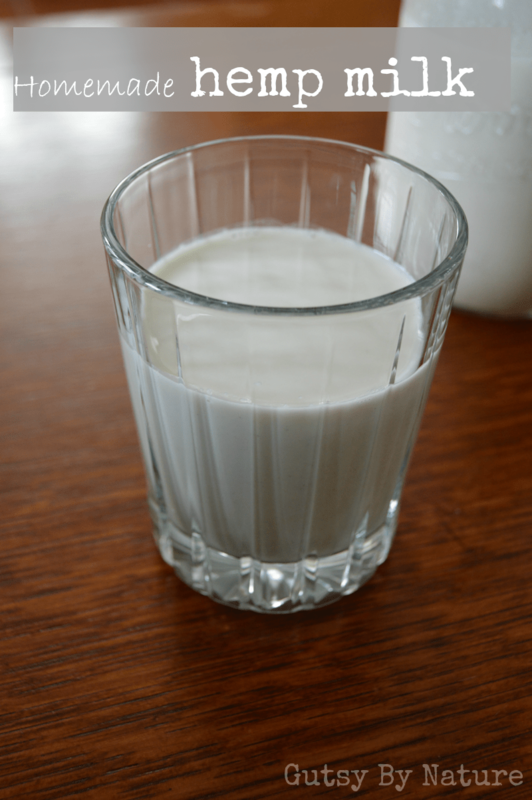 If you want a Paleo alternative to dairy milk, you have two choices: almond milk or coconut milk. Right? Wrong! It’s time to consider a third option: hemp milk. 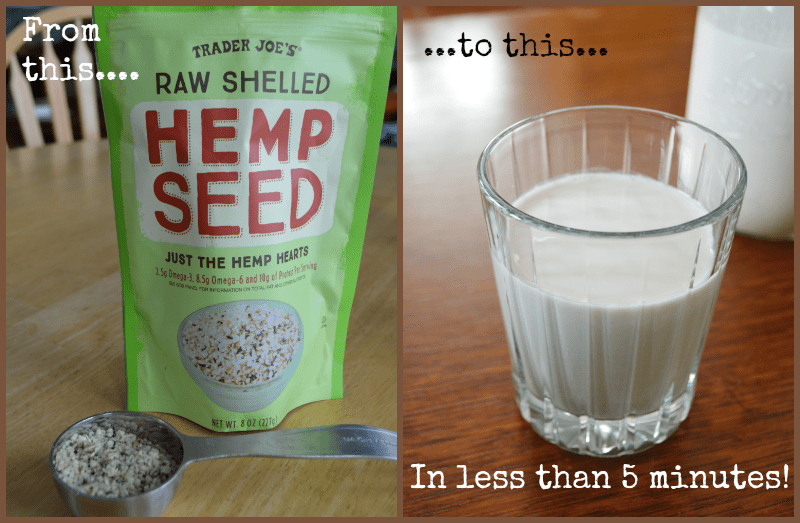 I was honored to be asked to share my simple recipe for homemade hemp milk on the Paleo Parents blog this week. Head over to their site to learn more about the pros and cons of hemp milk from both a mainstream health and ancestral diet perspective and get my easy and fast recipe. Looking for even more paleo-friendly dairy alternatives? Check out this roundup post! You might also be interested in some of my other guest posts. Spread the love and visit my friends’ blogs! That’s the only type of milk I used to make, but stopped because I thought seeds were not allowed on this diet. Now I’m confused. I also stopped using a mixture of organic, ground, sprouted chia and flax seeds. Am I also able to eat that product? I started Gutsy By Nature in 2013 to share the recipes and information I was using to recover my health. Now I help others do the same as a Nutritional Therapy Practitioner and Certified AIP Coach. Click here to learn how to work with me. Jaime Hartman is a Nutritional Therapy Practitioner and does not diagnose or treat any disease. The information on this page is for general information only and should not be used as a substitute for medical advice. Always consult with your medical provider before making any changes to diet, supplement, medication, or exercise programs. Click here to view terms and conditions for service. Gutsy By Nature LLC is a participant in the Amazon Services LLC Associates Program, an affiliate advertising program designed to provide a means for sites to earn advertising fees by advertising and linking to amazon.com. ©2019. Gutsy By Nature®. All rights reserved.